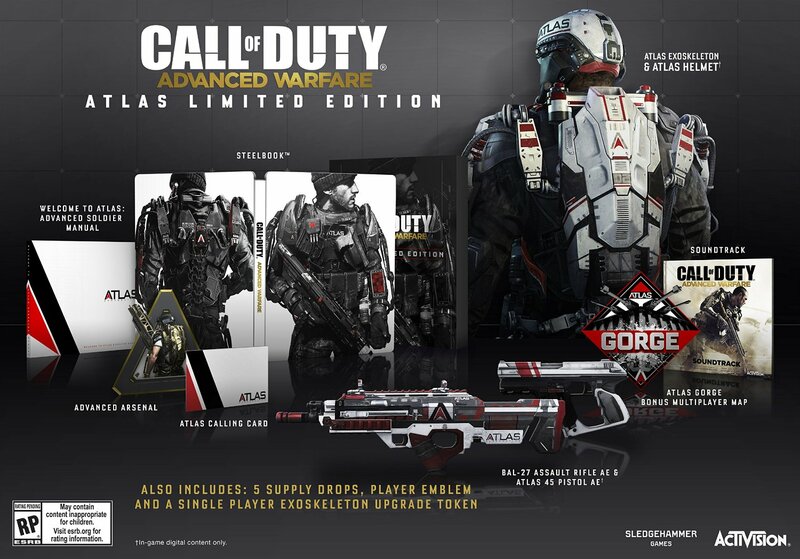 Activision has revealed special collector’s editions of Call of Duty: Advanced Warfare for the Xbox One, Xbox 360, PlayStation 4 and PlayStation 3 consoles. 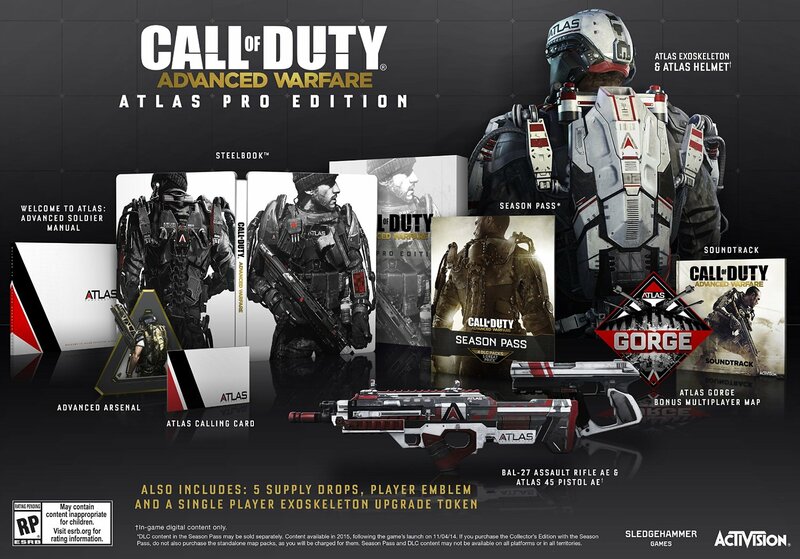 The collector’s editions include the Call of Duty: Advanced Warfare Atlas Limited Edition with a list price of $79.99, and the Call of Duty: Advanced Warfare Atlas Pro Edition that sells for $119.99. Both of the editions are available pre-order from Amazon although in limited quantities. Check out the pics and details of each collector’s edition below.